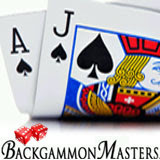 The popular online games community, BackgammonMasters.com has added multiplayer Blackjack to its suite of games which already includes Backgammon, Perudo and Poker. To encourage their Backgammon players to take a Blackjack break, the site is presenting a free Blackjack contest with daily cash prizes to the player that plays the most hands of Blackjack each day until September 4th. BackgammonMasters.com networked game software is the only free software of its kind which offers all of its games in one download from one site. All games are available in ten languages: English, Spanish, Arabic, Turkish, Hebrew, French, Japanese, Danish, Greek and German. The BackgammonMasters software has fast become a leader in the game industry due in large part to its powerful platform which contains a network of thousands of players at any given time. By adding the ever-popular BlackJack to its game lobby, industry experts predict that BackgammonMasters will triple its traffic. The BackgammonMasters BlackJack game offers a multiplayer table where up to five players are spaciously seated and playing at the same table simultaneously, with the option of participating in real-time chat. Besides the sophisticated graphics and avatar modes, the software includes a unique View Mode adding another dimension to the fast-paced game whereby players can sit in on an existing game and watch the action before joining in. For new players and experienced players that want to improve their game, BackgammonMasters.com has a library an extensive library of articles on how to play and win Backgammon, Perudo and Poker. A collection of articles on Blackjack play and strategy has been added to the library.